A Tonk's Tail... err, Tale...: Happy Chanukah! 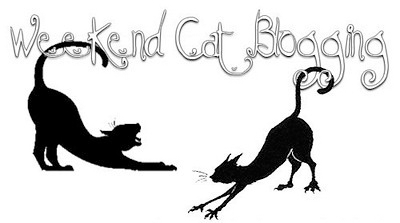 If you'd like to follow along, click here to read today's post at Musings of a Crazy Cat Lady. Psst! To get you in a festive mood, we present the Nefesh B'Nefesh Chanukah Flash Mob. "Oy is just Yo backward you know" or "those fluffy latkes, oh those fluffy latkes"...! Love the flash mob, Yo Yo Oy! That video is priceless! 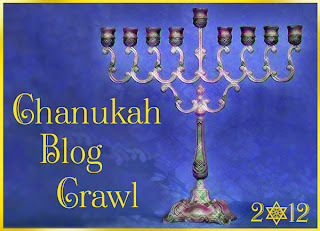 Thanks for sharing...We'll be posting in the Chanukah Crawl on Thursday... 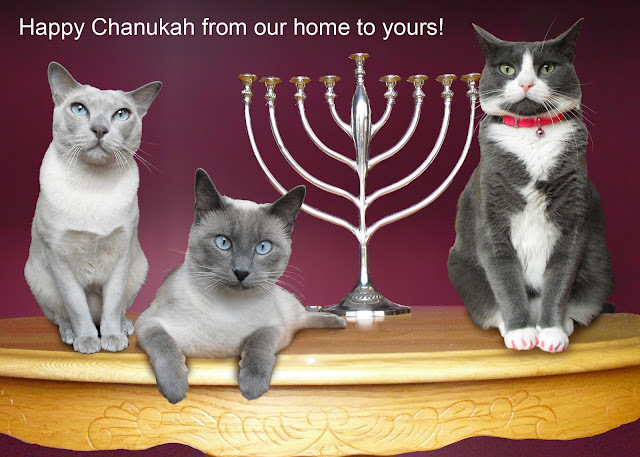 Happy Chanukah purrs & woofs to you all! The flash mob was great! Do they eat latkes in Israel or are they an American Jewish tradition? We LOVE your picture of yourselves. Happy Chanukah!!! Sounds like a fun blog hop!! Happy Chanukah to you all!!! Mommy is CRACKING up! This is so cool. Happy Chanukah. Have a super Saturday. Happy Hannukah, dear friends! BTW, check out this video of how to light a menorah. It's from the Technion in Israel (our dad works for the American Technion Society, which raises funds and awareness for the Technion). That was funny but I'll still take my tree with hunnerts of presents under it. Happy Chanukah guys. Candles are, like, so dangerous. Happy Channukah to you, my dears. Purrrrrrrrrrrrrrs. Wonderful post!!!! HAPPY, HAPPY CHANUKAH!!! Purrs, kitty kisses and hugs!! Happy Hannukah kitties! You guys look so adorable next to the menorah! I hope all eight days are enjoyable! HAPPY CHANUKAH! To you all!! Happy Chanukah. Maybe you'll get a dreidel or other toys to play with. And keep your tails away from the menorah. Happy Chanukah my friends! Love your header!!! Happy Chanukah! That was an awesome video! Happy Chanukah, Kitties!! Be glad your Mom and Dad did not do THIS to you: http://cheezburger.com/6850938880 Ha ha ha! oh my cat - we're lucky indeed! Or maybe mom just knows she'd better not if she wants to remain unscathed, MOL! LOVED the video! Happy Hannukah... Chag sameach! Happy Hannukah to all of you! We love "Oy is just yo backwards!!" Happy Chanukah!